Chile Quake: Emergency Without Parallel A massive 8.8 magnitude earthquake struck Chile Feb. 17, leaving at least 700 people dead. Terrifying aftershocks have exacerbated the damage, which includes devastated roads and bridges and an estimated 500,000 homes. April 6, 2010  Losses from the 8.8-magnitude earthquake that struck Chile in February totaled $250 million in spilled wine alone. 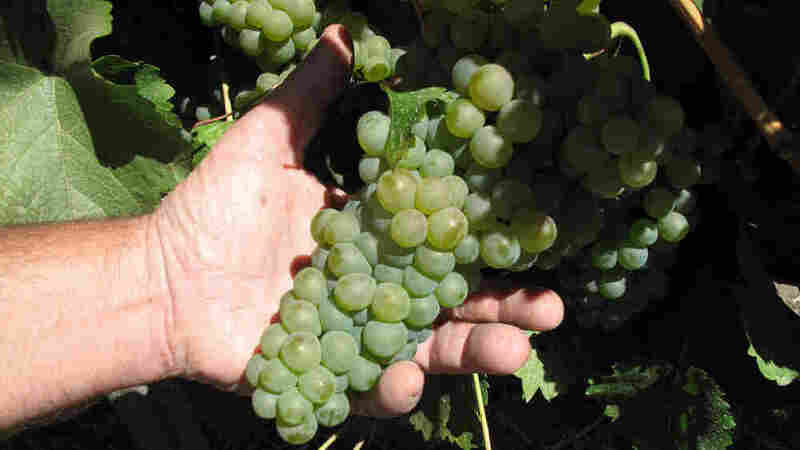 Chilean winemakers, who export much of their fruity, inexpensive varieties to the United States, are cleaning up from the temblor and trying to resume production. "You have to get up, work, rebuild," says winemaker Sebastian Astaburuaga. "The only way to survive is to work." March 10, 2010  Chile is on the verge of a political transition. Outgoing President Michelle Bachelet is trying to preserve her reputation after the earthquake, while the president-elect, Sebastian Pinera, is trying to establish his reputation as a man who can rebuild the damaged country. March 9, 2010  Following the massive earthquake that struck on Feb. 27, scientists have flocked to Chile with the goal of picking up enough clues to one day predict when the next big one will strike. March 4, 2010  Crime is low in Chile, a country considered Latin America's most politically and socially stable. So the widespread looting that has followed last weekend's earthquake astonished many Chileans — and has people questioning just how much progress Chile has really made. 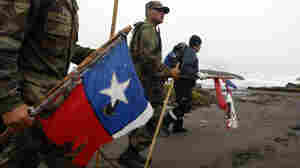 March 4, 2010  Chile's military began delivering convoys filled with plastic bags of oil, flour and canned beans to areas ravaged by the massive earthquake and tsunami. But some residents have mixed feelings about the first significant presence of soldiers in the streets since the brutal Pinochet regime in the 1970s and '80s. 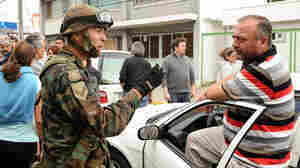 March 4, 2010  Soldiers are back on the streets of Chile for the first time since military rule ended two decades ago. President Michelle Bachelet was arrested and tortured under the regime of Augusto Pinochet. Her father died in prison. For Bachelet, it was a tough decision to call out the troops, but Chileans are welcoming the military's role in earthquake relief efforts. March 3, 2010  Chile is dealing with one of the most powerful earthquakes ever recorded, just as President Michelle Bachelet's term is set to expire. She has been strongly criticized in Chile for her response to the quake, and some say the impending transition has complicated relief efforts. March 3, 2010  Authorities say most of the nearly 800 people who died were in communities along a 435-mile stretch of Chile's Pacific coast that was swamped by giant waves after last week's 8.8 magnitude earthquake. March 3, 2010  Many towns and villages along Chile's long Pacific coast took a double hit. First there was the massive earthquake on Saturday, then there was the powerful ocean surge. Dichato was one of the beach towns that was hit the hardest. March 3, 2010  The magnitude 8.8 earthquake in Chile appears to have altered the rotation of the Earth, changing the length of the day by a tiny amount and shifting the location of the poles by a few inches. Large quakes have a history of doing just that, even if the changes are far too small to have any meaningful effect. 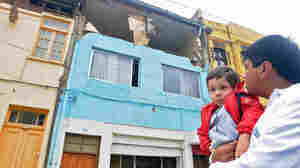 March 2, 2010  Concepcion, Chile's second-largest city, has been one of the hardest hit by Saturday's earthquake that killed nearly 800 people. Relief efforts there aren't yet meeting the needs of the city or its people. March 2, 2010  In the wake of Saturday's deadly earthquake, Paul Simons, the U.S. ambassador to Chile, says communications equipment, field hospitals and water-purification systems are en route to the country, while the U.S. is working to deliver other items on the list. March 2, 2010  Secretary of State Hillary Clinton met with Chilean President Michelle Bachelet in Santiago on Tuesday, pledging that the U.S. is "ready to help in any way" following the 8.8 magnitude quake and tsunami that struck on Saturday, devastating coastal areas. Meanwhile, Bachelet said the city of Concepcion was under control since thousands of troops had been deployed for security after widespread looting. March 2, 2010  Secretary of State Hillary Clinton, on a tour of Latin America, is taking along satellite phones for Chilean officials. They are trying to restore communications with southern and coastal areas, devastated after Saturday's earthquake. The curfew in one of the hardest-hist areas, Concepcion, has been extended because of looting. March 2, 2010  Chile is one of the most prosperous nations in Latin America. It's faced, in some places, with destroyed infrastructure — roads, bridges and houses. Larry Birns, director of the Council of Hemispheric Affairs, talks to Steve Inskeep about Chile's ability to recover from the weekend's damaging earthquake. 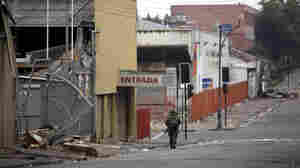 March 2, 2010  The city of Concepcion was one of the hardest hit by Chile's earthquake. The port has been badly damaged by waters that came more than a half-mile into the area. A major apartment building collapsed, leaving dozens unaccounted for. Reporter Annie Murphy tells Renee Montagne that residents desperate for food have been looting the city's stores and complaining about the slow response by the government. 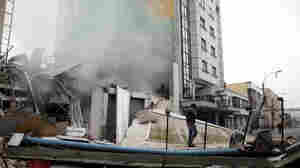 March 1, 2010  Police fired tear gas and imposed an overnight curfew to control looters who sacked virtually every market in the hard-hit city of Concepcion, as terrifying aftershocks turned more buildings into rubble and forced thousands to set up tents in parks and grassy highway medians. March 1, 2010  Haiti and Chile experienced massive earthquakes with distinctly different effects. A look at factors that determined the destruction, the death toll and recovery. March 1, 2010  The recent earthquake in Chile was much stronger than the earthquake that shook Haiti last month, but far fewer people have died in Chile. One reason seems to be that Chile has strict building codes to deal with large quakes. Eduardo Kausel, a professor of engineering at the Massachusetts Institute of Technology offers his insight. March 1, 2010  Rescuers were scrambling Monday to find missing people in Concepcion, Chile's second largest city and one of the places worst hit by Saturday's earthquake. Aid groups are struggling to get food distribution going and police are trying to keep looting under control. Reporter Annie Murphy offers her insight. March 1, 2010  Significant aftershocks continue to rock Chile two days after a magnitude 8.8 earthquake brought down buildings and bridges, and triggered a tsunami. And yet it's already clear the devastation won't reach the levels seen in Haiti. Walter Mooney, a seismologist with the U.S. Geological Survey, explains the differences between the two quakes. March 1, 2010  After the earthquake in Chile, at least 700 people are reported dead and millions more have been displaced. Those numbers are shocking, but the recent quake in Haiti killed and left homeless many more people, by comparison.